Rollers with digits which flip over cleanly and precisely, minute after minute. No hands to interpret. Simple and perfect. Today, just as it was fifty years ago, the mechanical perfection of our clocks is still dependent on the skilled craftsmanship of the man who assembles the flaps by hand, one by one, in a specific sequence. 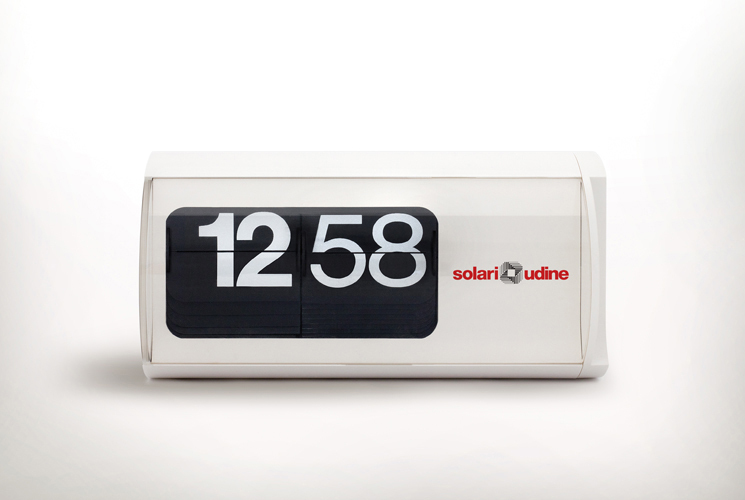 Ever since the firsts productions, Solari offers to Companies the exclusive opportunity to customize the iconical flip-clocks. Limited and exclusive edition for the Concept Store Colette Paris. During the 20th year from the opening, the exclusive Concept Store - Colette Paris - celebrates with solari lineadesign, offering to his clients a limited and exclusive edition of the iconical flip-clock Cifra 3 - in blue, and with the logo of the Parisian shop silkscreened over its front. // buy now, from the online store Colette Paris! 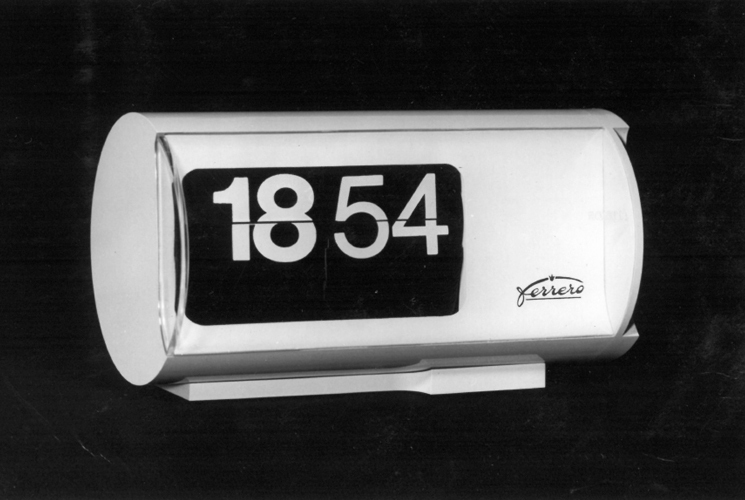 Dator 60 in English language, hours displayed in AM/PM. 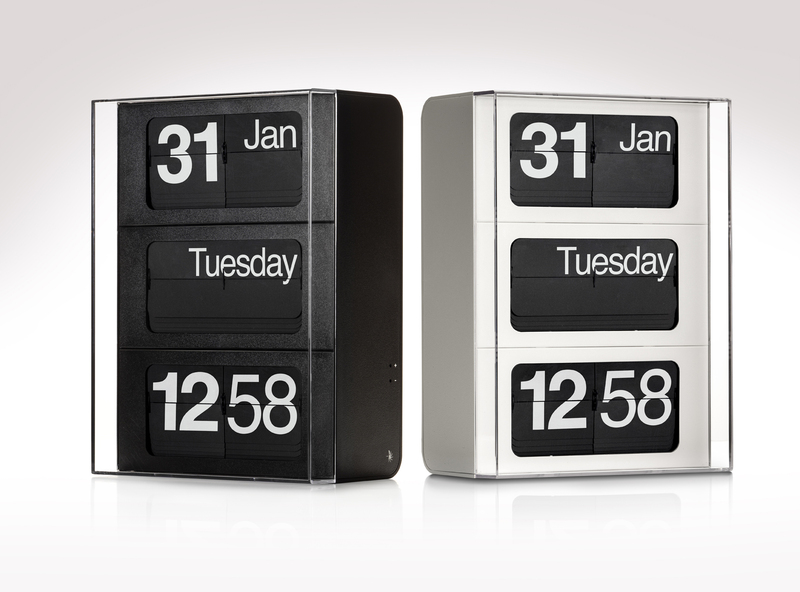 Limited Edition for MoMA design store. The re-edition of this specific kind of Dator has a great value: was developed in 1977, and today is relaunched in production after 40 years. Solari lineadesign wanted to celebrate this event with MoMA. 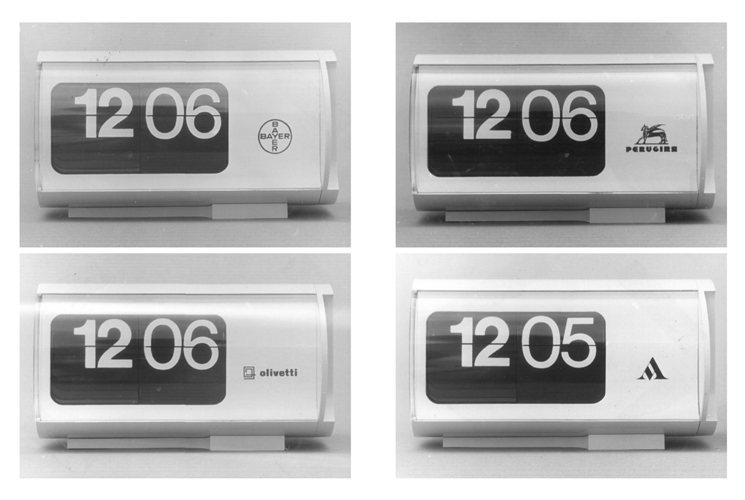 The re-edition process was long and complicated; to preserve originality and authenticity, Solari have silkscreened every single digit using the same screens from the 60s- that were restored and today conserved inside the historical technical archives of the Company. // buy now, from MoMA Online Store!